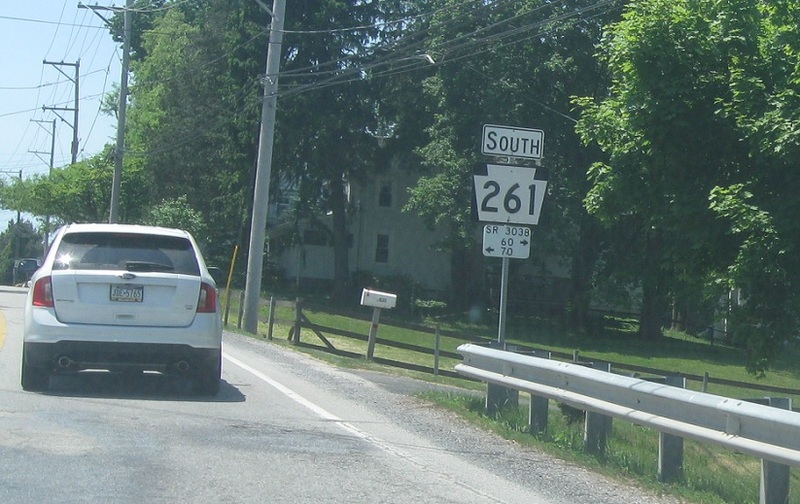 Reassurance shield as Route 261 begins. 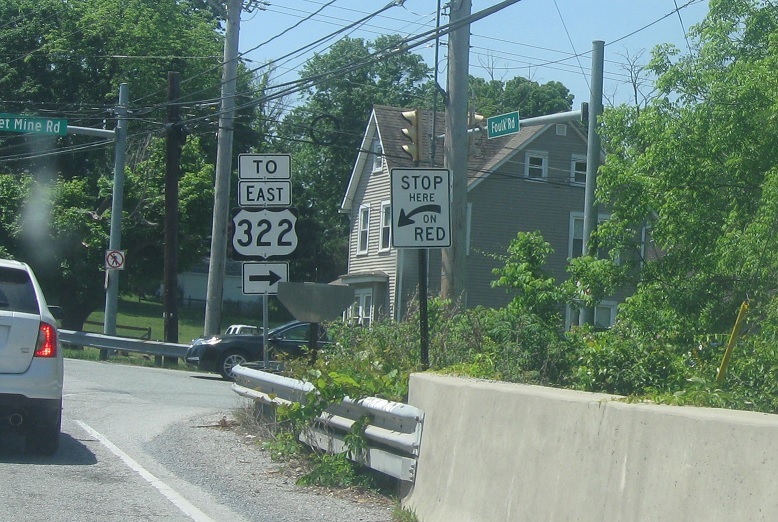 Follow Garnet Mine Rd back to 322 east. 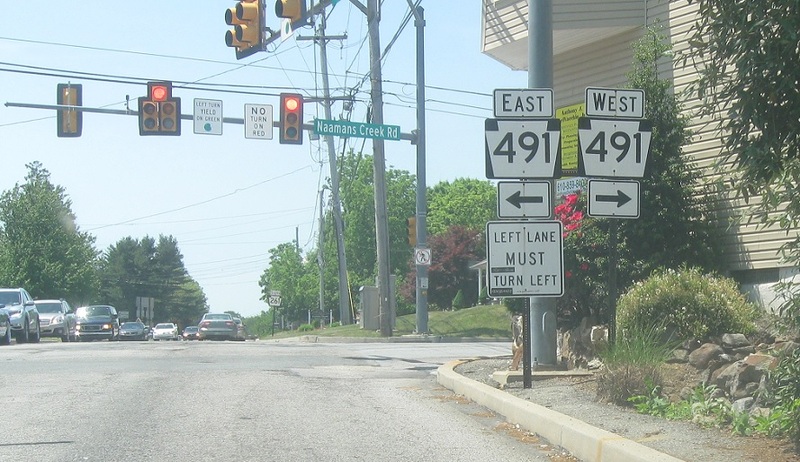 Turn right to connect back to 322 east. 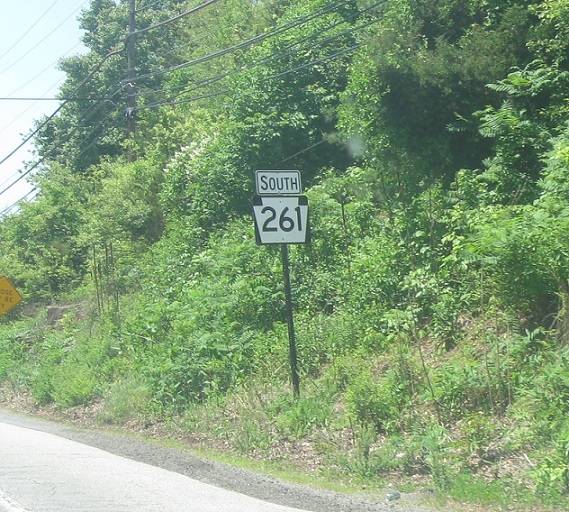 Reassurance shield after Garnet Mine Rd. 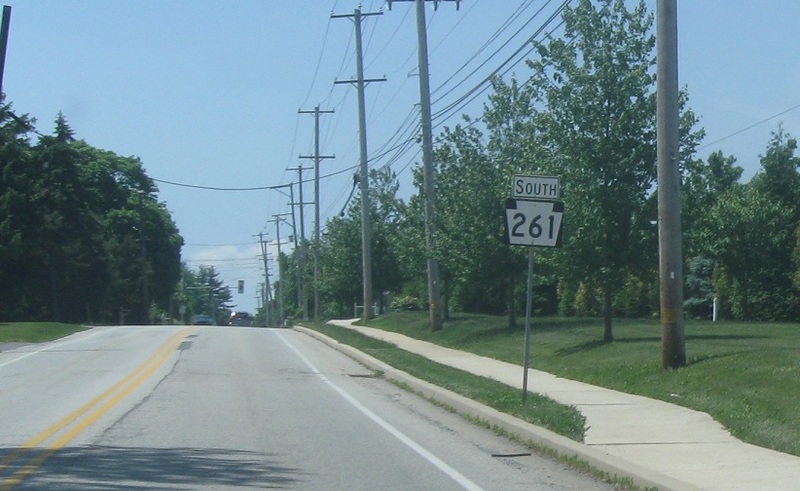 Reassurance shield after Bethel Rd. 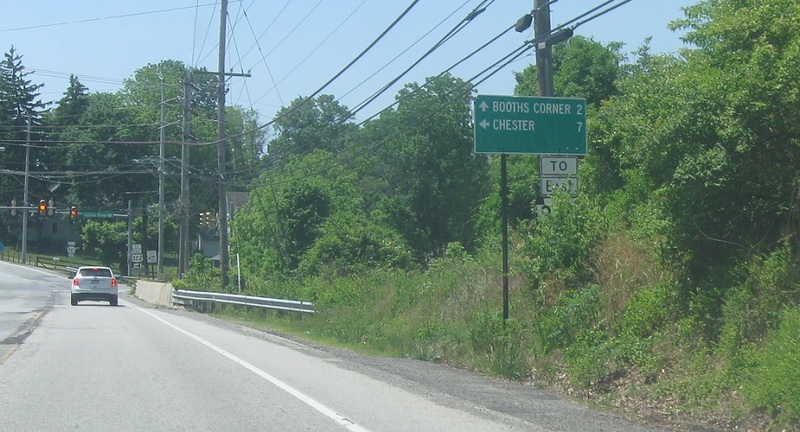 Just after that we’ll approach Route 491. 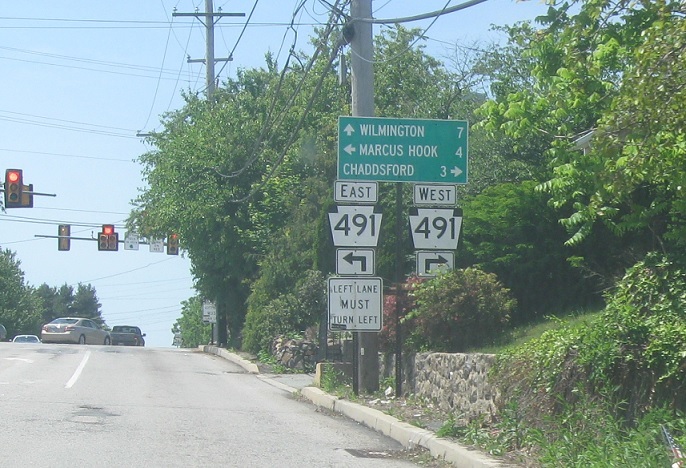 Follow 491 east to Marcus Hook (via Delaware), 491 west to Chaddsford, and 261 south to Wilmington, Del. 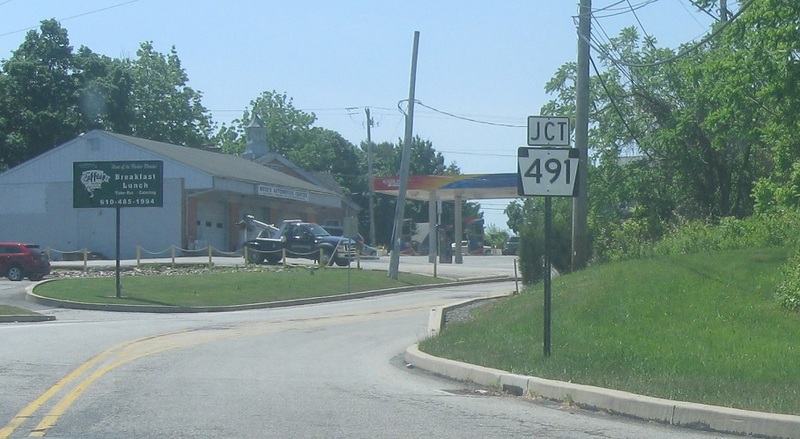 Turn right for 491 west and left for 491 east.